I’m sitting on the sofa and looking out at the window and all I can see is a blurry view of my neighbourhood. Yes, it is still hazy in Sunny Singapore. I wished all that white thingy in the air right now is just snow. Yeay, snow in Singapore. Oh well, a girl can dream right? And we girls don’t just dream of makeup, clothes or handbags. Some of us girls have bigger dreams in life. I personally would like to study at Le Cordon Bleu or Notter School Of Pastry Arts but If I keep spending $547898798 at the supermarket every time, this isn’t going to take place. Fine, I am digressing. I love fruit juices too, but I do recognize the fact that smoothies tend to be more filling because of the fiber, so they can be great to drink first thing in the morning as my breakfast, or for snacks throughout the day. I would often buy frozen berries for my smoothies as this grants me to get a smoothie whenever I feel like having one, which in most instances would be every single day. If fresh berries are going at a discounted price, I would purchase a couple of punnets of those and store them in a zip-lock bag and off to the freezer they would go. 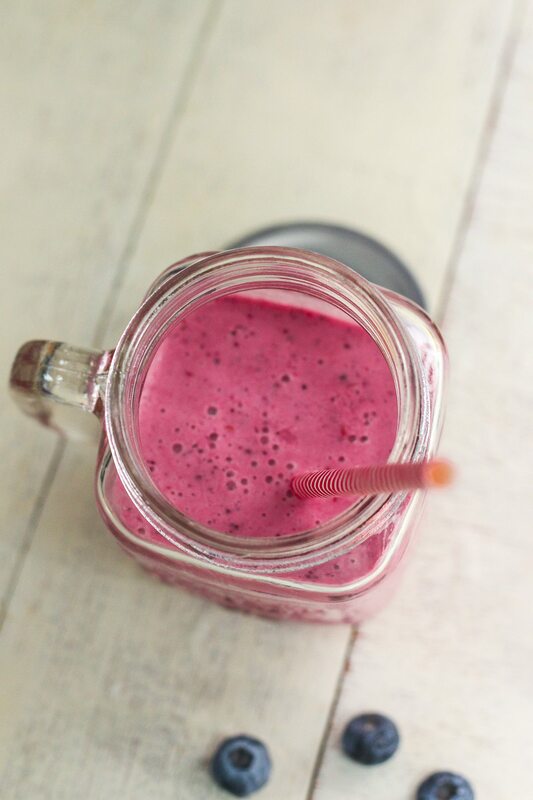 A smoothie is so versatile, you can “pump” it with more nutrients if you prefer. Ingredients like almond butter, flax meal, Chia and protein powder can easily be incorporated in your smoothie. 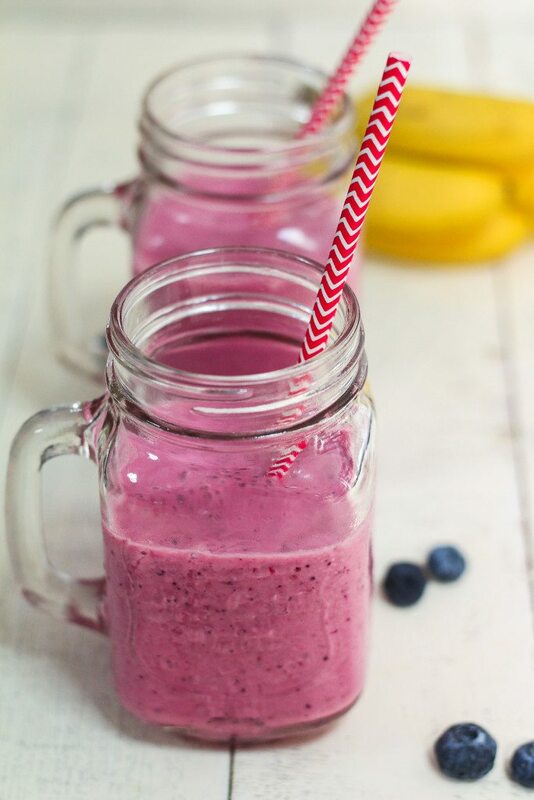 There is no processed sugar in this Raspberry Blueberry Banana Smoothie. 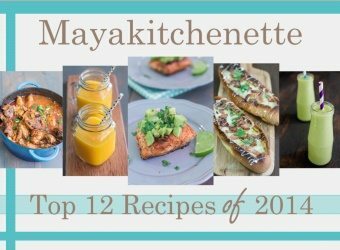 I have added some honey in here, but you can also use agave or splenda. 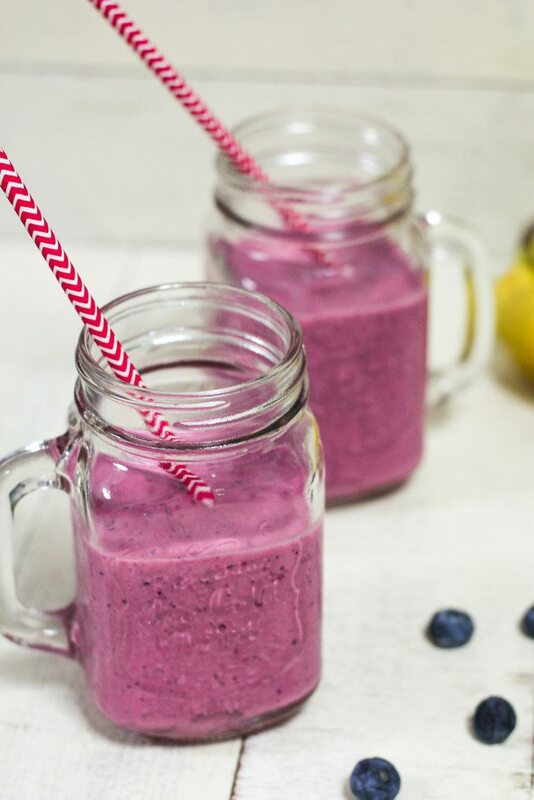 This Raspberry Blueberry Banana Smoothie is deliciously delightful especially when sipped through a straw. Feeling a tad under the weather due to this hazy environment? Fruits are rich in vitamins and minerals that helps to boost your immune system, so sip away to this refreshing bliss to beat the haze away! Add more water or milk if you prefer a thinner smoothie.